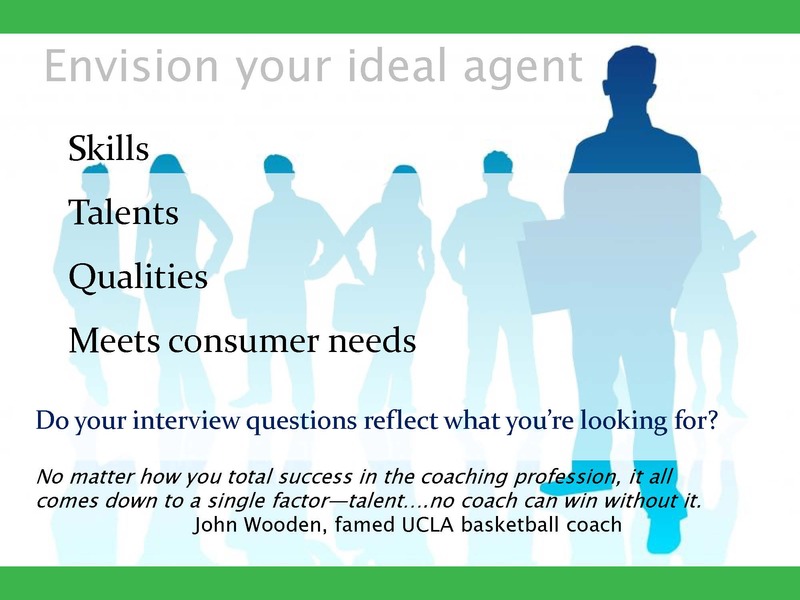 Recruiting: What Are You Looking For–and NOT–in a Real Estate Agent? What are you looking for–and what aren’t you looking for–in a real estate agent? This month, I’m featuring recruiting. Why? Because it’s the life blood of real estate success. Unfortunately, too many managers, though, don’t honor it as such. First, let’s tackle what you’re not looking for! What are your knock-out factors? (See Your Blueprint for Selecting Winners for a full list of pre-interview questions. The last question for you in this blog: Do your interview questions reflect what you’re looking for? Write your 3 favorite interview questions and see if they are revealing exactly what you’re looking for. If not, why are you asking them? 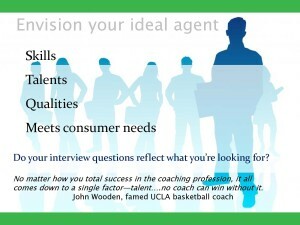 In our next blog, I’ll share the best type of interview question you can ask! 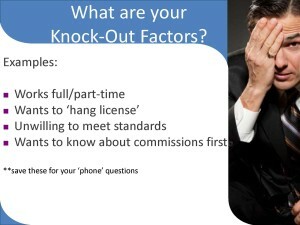 Are you wasting time interviewing and not hiring? Or, interviewing and hiring and then finding out they aren’t a ‘fit’? This resource will help you stop all that and provide laser focus and skills for hiring with confidence. 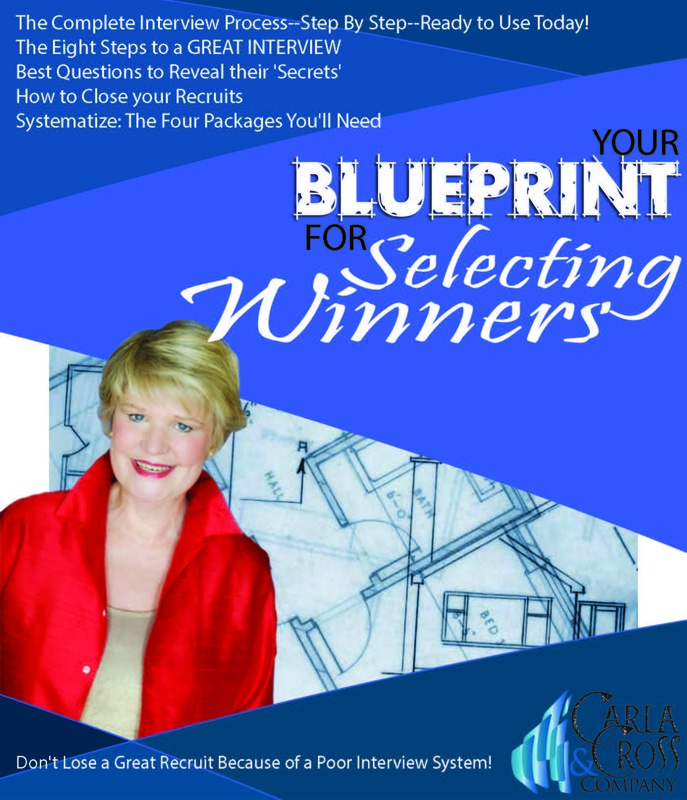 Check out Your Blueprint for Selecting Winners now–all online for immediate download.